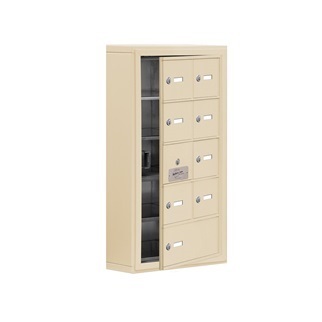 Secure storage of personal valuables is provided with USA Building Supplies vast selection of cell phone lockers and electronic storage units. 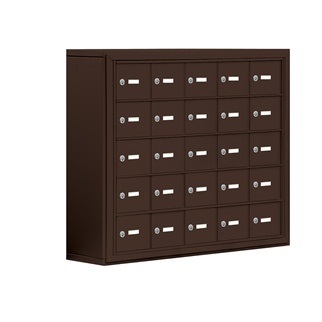 This cell phone locker offers a large quantity of storage with its 25 single high single wide occupant doors. 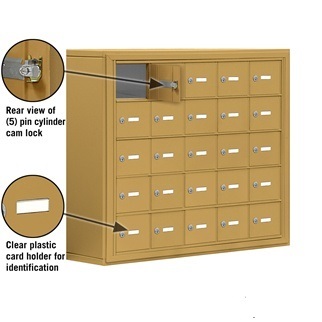 Secure cell phones, keys, tablet PCs, wallets, cameras, e-readers and other valuable items! 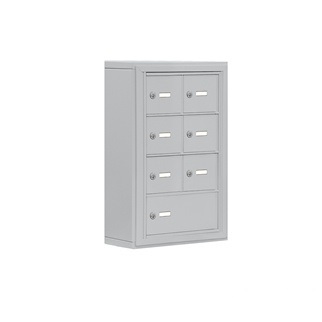 Sturdy and durable construction. 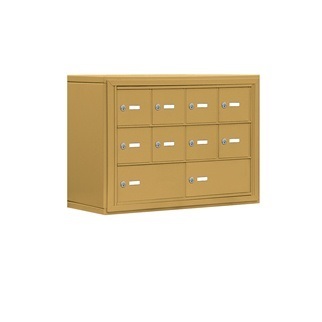 This storage unit accommodates a variety of building environments with either surface mount (9 1/4" depth) or recess mount (8 3/4" depth) and our choice of aluminum, bronze, gold, or sandstone powder coat. 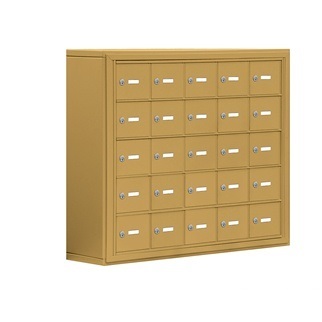 Phone lockers can also be ordered from USA Building Supplies in custom configurations. 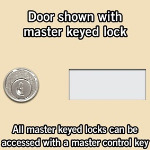 (+$115.00) Custom engraved doors are engraved by the factory as you direct them to do so. Custom engraved doors enhance the appearance of your cell phone locker. The engraved characters will appear on the doors as a silver color because the cell phone cabinet is constructed from aluminum. (+$115.00) Custom black filled engraving is a decorative door id option which the engraved characters on the doors will appear in black. 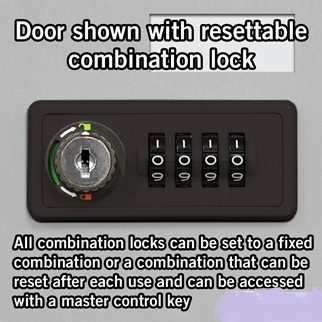 Black filled engraving door id option allows you to choose how you would like each door engraved and enhances the overall appearance of your cell phone locker. 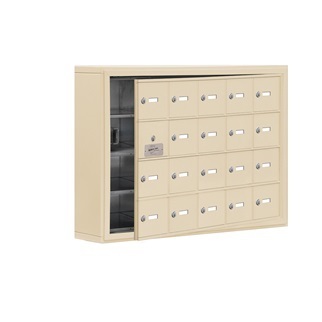 Shop our entire selection of cell phone storage units and free-standing enclosures for cell phone lockers online today for high-quality building solutions at the best value.